The world has plunged into the era of Online Examinations, so much so that the conventional pen and paper form of examinations may soon be rendered obsolete in the not too distant future. One of the first online examinations in India was conducted by Delhi University for their Science Undergraduate students in 2009 making it one of the first central universities in the country to do so. A total of 2,500 students took the paper from over 27 colleges in the first week of June 2009 and was held in three centers over a span of three shifts. Being the first time that students and teachers alike were to experience an examination of this paradigm, students and teachers were given CDs and pamphlets debriefing them about the process of an online examination. How does one attempt a question, how do you skip a question, re-attempt a question, submit the paper but want to make some changes again along with the function of the timer telling them the amount of time they have left for the examination was all explained in the distributed material. Like in competitive exams adjacently seated students received a different question paper and the questions were jumbled in all three shifts of the examinations to minimalize the scope of resorting to unfair means adding to the delight of teachers apart from the fact that a lot of time would be saved in checking of answers. All in all, one can place a safe bet in saying that online examinations in its current state has captured the hearts and minds of teachers and students alike when we talk about common and competitive examinations, making use of its various advantages over a conventional exam such as the inclusion of multimedia, simulation and software-test parameters which have a higher degree of validity when compared to static questions in respect of professional work practice. In Online Examination Portals a student demonstrates their academic achievement and prowess using computers. 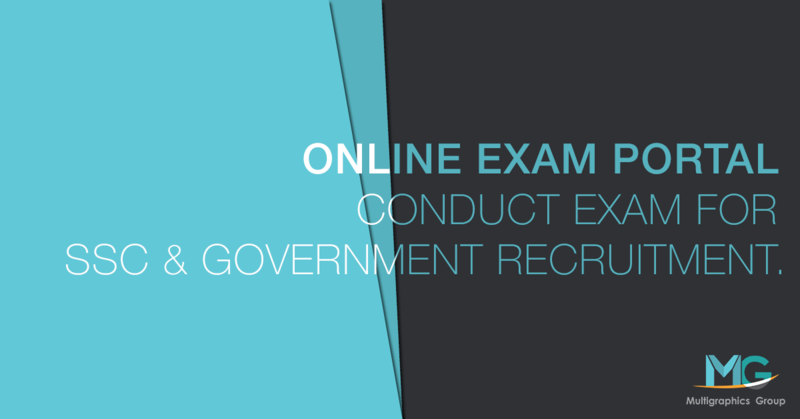 Wherein, within this broad-spectrum online exam form a definite use of technology where students ideally wither bring their own device or assemble at a predefined venue where the examination controller have pre-set devices for examinees to take the test on. These devices are then taken to a common portal either via an online link or a bootable Operating System which functions simultaneously with the pre-existing OS of the device. Numerous advancements confront reactionary difficulties in the social, political and technological circles. Complaints center around the trickiness of PC gear or the potential for duping. A few ‘hacks’ against online exams use cooling of the PC RAM to 0 degrees Celsius when the substance can be protected for around 45 seconds. This is immaterial if the test question paper is distributed after the appraisal and open source programming is utilized (since the material is placed in people in the general area anyway). These reactions have been replied by a risk tree comparison with paper-based examinations, finding the composing and penmanship in examinations are also secure. The education industry is pretty welcoming towards online examinations with various examinations held in the world adopting an online examination format. However, considering that Rome wasn’t built in a day, online examinations isn’t without its own fair share of shortcomings, faults and past controversies which include certain individuals trying to manipulate the device the exam is being held on using cheap tricks and hacks which either affect the hardware or software of the device to the examiners advantage. Although many such issues have been nipped into the bud, the risk of a new method of manipulation may always be brewing in the near future. Studies have shown that students have a bi-modular reaction to online exams, with some cherishing them, others detest them. Advantages include the ability to alter reactions without trace and simplicity of text generation through typing (20% more words in a similar time, for example).